Time to see what sort of power servos are pulling , especially If I am going to try and run a 1s solution at the rx end . The test is relatively simple , not overly scientific . 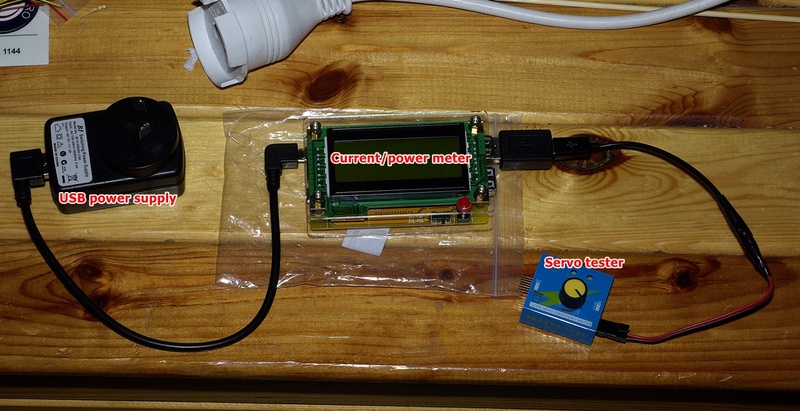 I have a USB power supply feeding power through a power meter to a servo tester and then to the servo . The test was by no means scientific or research valid because of the pinch test ( load ) , but never the less a bit of an eye opener and some what interesting . The servos I used in my Rx tests were the orange TowerPro and the results here do back up the current draw I saw on the variable power supply . I did see current spikes over 400mAh when running the two servos as hard as I could VIA the Tx . More stringent servo selection could see quite a saving in power consumption if not more stable voltages under load . 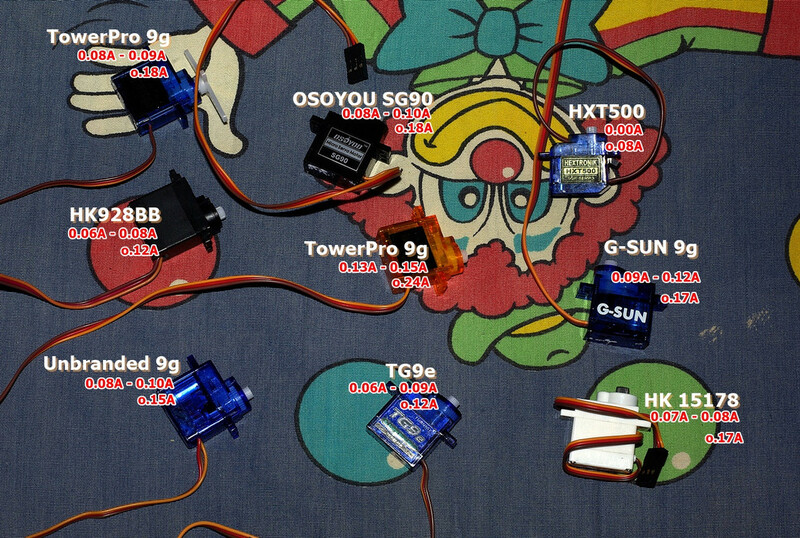 I threw the HXT500 in the mix just to see what sort of power saving there might be with a smaller servo .. Bit of a shame that my current meter could not read low enough to give a reasonably accurate no load current reading .